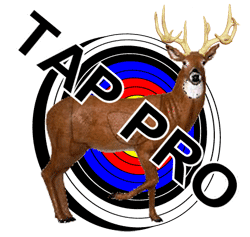 The National Field Archery Association (NFAA) plays host to a number of indoor archery tournaments. 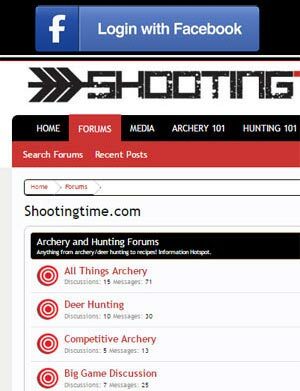 Most of them use the NFAA 300 round, but one tournament is dramatically different. That’s the Vegas Shoot, the largest and most prestigious indoor archery tournament in the world. In this articles we will take a look at the Vegas shoot and the type of round it uses, the vegas round. The Vegas Shoot began in 1962, in Las Vegas, Nevada, as the First Indoor National Tournament. Since then, the event has grown by leaps and bounds. Today, the Vegas Shoot attracts more than 3,500 archers from novice level to Olympic competitors. Thousands more attend the tournament as spectators. Archers and spectators come from all over the world, and participants take part in three days of intense no-error competition. In 2017, the Vegas Shoot offered the world’s largest indoor purse, with a payout totaling $403,000 in cash and scholarships. The competition includes the traditional three-spot 20-yard Vegas Round that made the tournament famous. What Is the Vegas Round? The Vegas Round uses a three-spot target shot at a range of 20 yards. Each day, archers shoot a Vegas Round, which consists of 30 arrows shot in 10 ends. Each end, archers must shoot three arrows within two minutes. 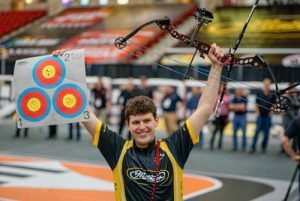 An archer who successfully scores a perfect 900 in the pro division has a chance to compete for what is typically the largest prize purse of the season. In 2017, it was the largest prize purse in archery history. What Targets Are Used for the Vegas Round? The Vegas Round uses two types of targets. The first is a 40cm single-face target with 10 rings plus the X-ring. With this target, individual rings are worth from one to 10 points, with the X-ring and following yellow circle being worth 10 points. The other target is a three-spot target face. Each spot has a center X-ring followed by five additional rings, and measures 20cm in diameter. Scoring ranges from six to 10 points, with the center X-ring and following yellow circle being worth 10 points. 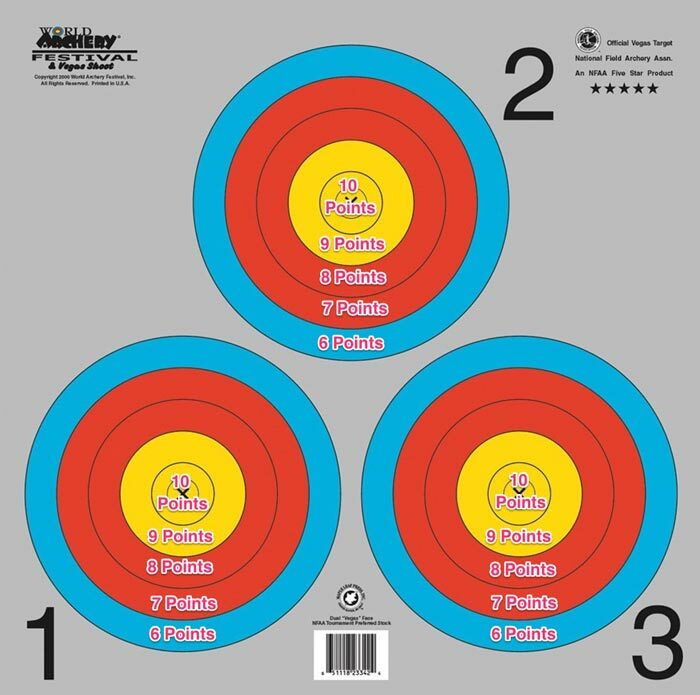 For tiebreakers in the Flights divisions and fourth place or below in the Championship divisions, the X-ring of the 40cm three-spot target face is used. All Cub, Youth, and Young Adult Recurve division entrants shoot on a standard 60cm indoor face. Cub, Youth, and Young Adult compound shooters can use the standard single-spot 40cm Indoor Vegas face or the three-spot target face. How Is Each End Scored? As described above, each end consists of three arrows shot during a two-minute timespan. 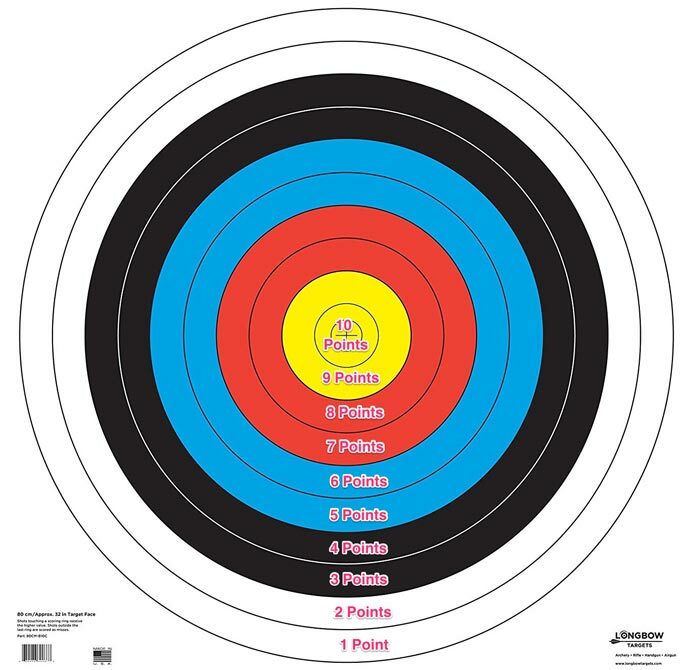 In this round, scoring is based on which ring the arrow penetrates. If the arrow shaft touches the line between rings, score calculations use the higher-scoring ring. When using the three-spot target, archers can shoot at each spot in any order. However, they cannot shoot more than one arrow per spot. An archer who shoots multiple arrows into the same spot loses the highest scoring arrow or arrows in that spot. Archers reshoot bounce-outs and passthroughs. If an arrow passes into the target beyond the nock and a referee cannot determine its value, that arrow can be reshot as a passthrough. Arrows are never pushed back through the target. X-rings on both target faces are counted and used as tie breakers. They are considered part of the official score. Archers have two minutes to shoot three arrows. Any archer not shooting all three arrows suffers a penalty. The highest scoring arrow is deducted from the score for that end. After the end is complete, archers and referees calculate the score. Arrows cannot be touched or pulled out until scoring has been completed for all archers. How Is Each End Run? To set up for the round, range-masters arrange the archery range for two lines of archers. Each lane has four targets, a top row and a bottom row of two target faces each. Archers assigned to the bottom row shoot first, followed by the top-row archers. After five ends of scoring, archers switch from bottom to top, and top to bottom. Archers who are up for their end must straddle the shooting line or distance marker. They must follow all voice and whistle commands, or risk being disqualified. A shot arrow does include any arrow traveling 10 feet beyond the shooting line. What Kind of Bow Can I Use for the Vegas Round? The overall design has to include a riser (grip) and flexible limbs. The flexing of the materials used in the limbs must be the only source of energy to propel the arrow. Weight reduction factor makes no difference. Bows that develop any portion of the arrow’s propelling energy from sources other than the limbs are illegal. The string includes the compound bow’s cables. All applicable string rules, other than color requirements, apply. Also, it’s important to note that a bow cannot have a draw weight of more than 80 pounds, or propel the arrow faster than 300 FPS, within a three percent margin. Next, bear in mind that any device that relieves the mass weight or draw weight of the bow from either or both arms is illegal for use in the Vegas Shoot. In conclusion, the Vegas Shoot is a once-in-a-lifetime opportunity that skilled archers can actually enjoy more than once. More than that, this tournament offers the largest in-tournament trade show in the world, with more than 70 vendors and 25,000 square feet of floor space. The trade show overlooks the main competition area, allowing spectators a front row view of the excitement as they shop.